We would like to thank Zalman for supplying the review sample. 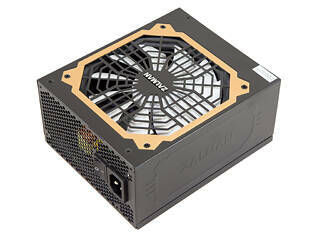 It has been some time since we reviewed a Zalman PSU, so we responded immediately when they asked us to test some of their new models. The truth is that as the competition increases prices drop while quality improves, which benefits all of us consumers. Most companies might use the same platforms for their offerings since there are only a handful of good PSU manufacturers; however, that doesn't mean there won't be any differences between products, since each company decides their pricing strategy and has a say in the quality of parts used. Some vendors might, for example, use nothing but Japanese capacitors while others who want to lower production costs will only use Japanese caps in the APFC converter. Some larger companies (e.g. Corsair, EVGA, be quiet!) also have PSU engineers they can ask for modifications in the design on their payroll, which allows them to offer something different from those competitors that utilizes the same platform. Zalman recently introduced a new line, the EBT series, which, so far, counts four members with capacities ranging from 650 W to 1000 W. The two lower capacity members are based on Sirfa's HPM platform and utilize a semi-modular cabling design, while the other two use the HPJ platform and are fully modular. In today's review, we will look at the ZM1000-EBT. It mostly addresses power users with strong multi-GPU systems. This PSU comes with six PCIe connectors for up to three high-end VGAs and is equipped with a great amount of peripheral and two EPS connectors. It also has a +12V rail only and Zalman states it to deliver its full power continuously at up to 50°C if need be. We are going to verify their claim during our hot-box tests and will push it even further by dialing in a load that exceeds its capacity by 10% (1100 W).